APPI Standing Pilates is an evolutionary method which advances the essential Pilates principles into more functional upright positions. This online course introduces a theoretical 3D Standing Pilates model and teaches a series of 3D Standing Pilates movements to address balance, range of motion, myofascial control and neural dynamics in standing. This online course includes a downloadable course manual and will take approximately 12-16 hours to complete. The ageing population, as positions covered in this cours are easily adopted by this population. Individuals with osteoporosis or osteopenia, as this course incorporates weight bearing exercises, which are very important for this group of people. Individuals who need to improve their pelvic floor muscles, as the exercises given will assist in the develping the supportive role of the pelvic floor muscles in standing. Those recovering from spinal and peripheral joint injuries. 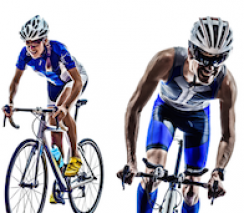 The amateur or elite sportsperson, due to the progressions of exercises covered in this course. Explore the requirements of the dancer and the demands of the regime to provide a broad understanding of Pilates-based dance rehabilitation on this online APPI Pilates course. This online Pilates course will guide you through the development of a reasoned Pilates program for anyone pre- or post-spinal surgery. One of our APPI Pilates Master trainers takes you through how to teach an effective transversus abdominis contraction to your clients. The APPI Pilates for Cyclists Online one day workshop explores how you can use Pilates exercises to improve the skills, strength and performance of cyclists.